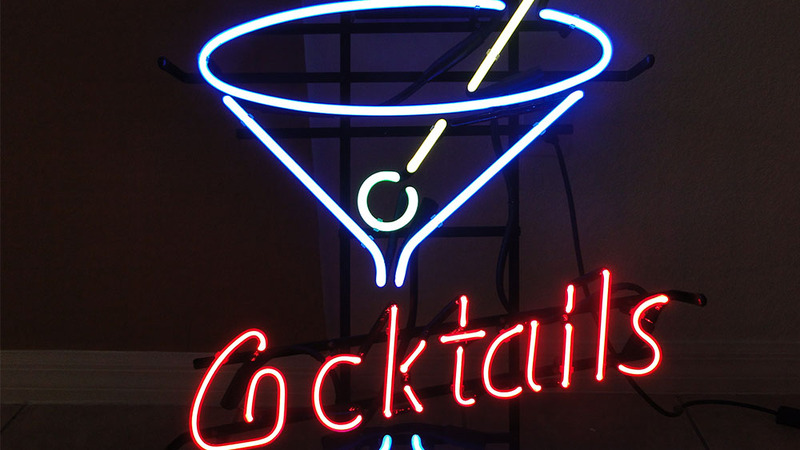 Neon Signs Are Perfect For Any Business! For decades, neon signs have been used to illuminate businesses and help customers easily find restaurants, boutique shops and more. While visibility is important for both new and established companies, new businesses often find that neon signs help drive more traffic and boost their chances of success. Monthly marketing costs can be costly, and neon signs can generate just as much foot traffic for a fraction of the cost. 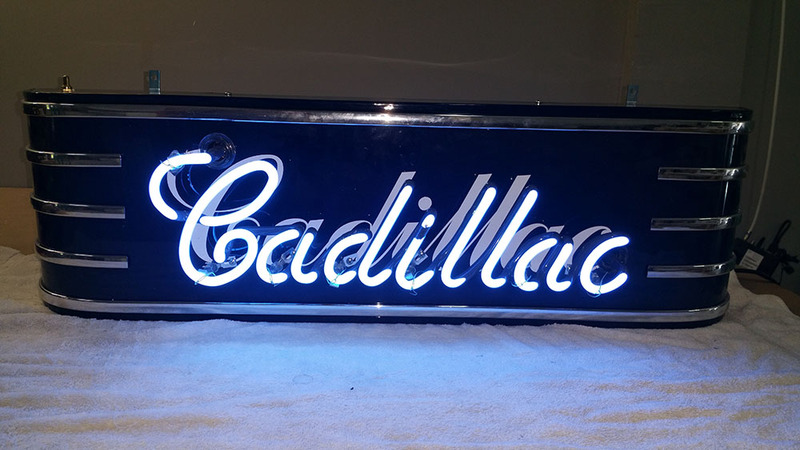 Neon signs can be customized to fit any specifications requested by the business owner. This is beneficial for businesses who wish to have a neon sign of their logo or other uniquely identifying information other than basic words. 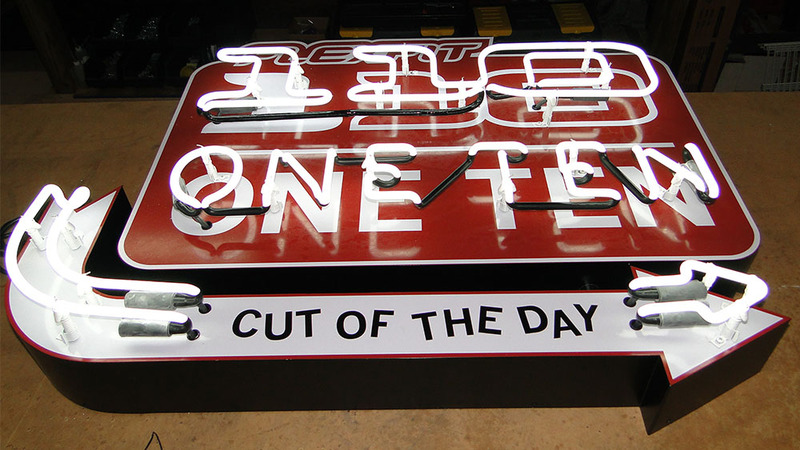 Neon signs are a must for businesses that operate 24 hours a day. Businesses that might need to operate at night include 24 hour restaurants, gas stations, medical clinics liquor stores and more. 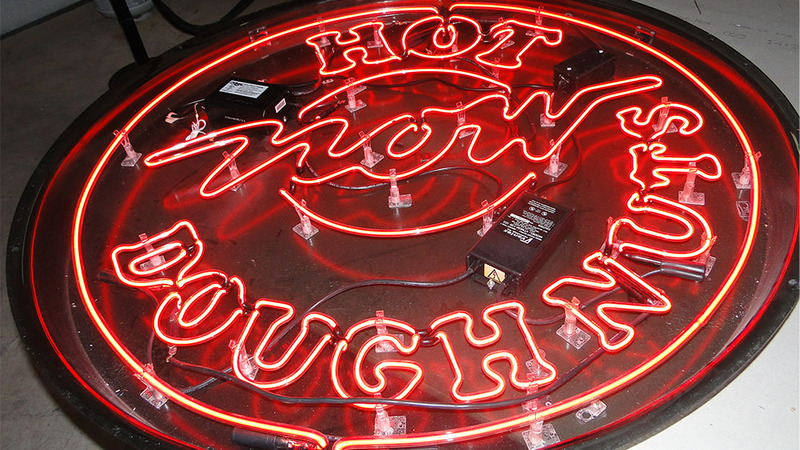 Neon signs are hand crafted with customized glass tubes. 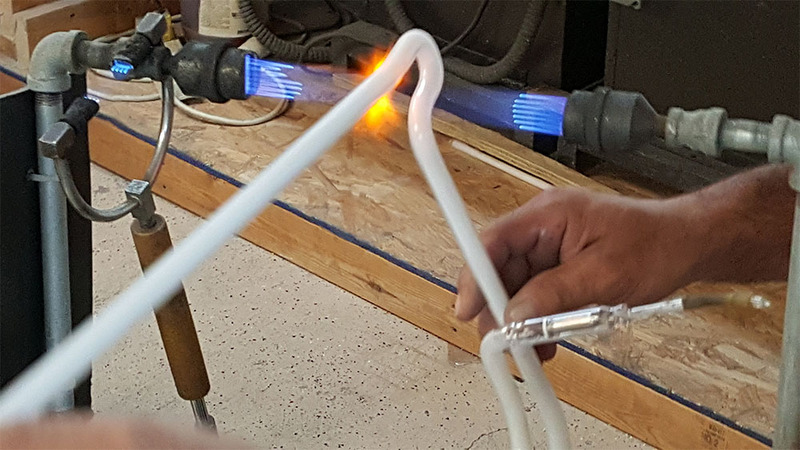 The sign maker shapes the tubes to a customer’s specifications with the help of extremely hot temperatures. Once the glass tubes have been connected, the manufacturer applies fluorescent coating to the exterior of the tubes and fills them with gas. Electrodes are placed at the ends of each piece, and the entire structure is connected to a manifold with a vacuum pump. Gas is pumped at a very low pressure through the tubes. Once the gas is pumped through the tubes, the sign maker closes the assembly. The sign lights up when low amounts of voltage are pumped through the tubes. Flashing neon signs are implemented by switching the voltage on and off. A variety of businesses use neon signs. Gas stations, hospitals, fast food restaurants, bars and small delis among others have deployed neon signs as a way of attracting more foot traffic and letting prospective customers that they exist. 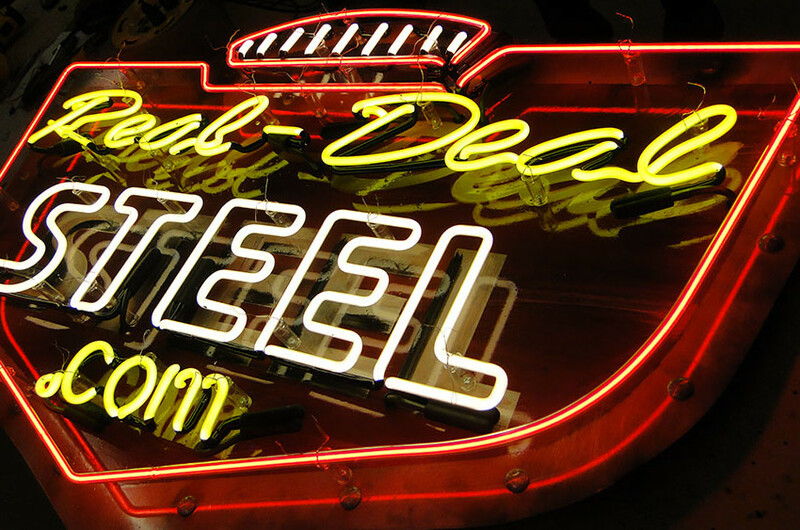 For many small business owners, neon signs provide a singular means of advertising. Whether the company maintains locations in big cities or on the side of a desolate highway, neon signs are a staple of small businesses across the country. 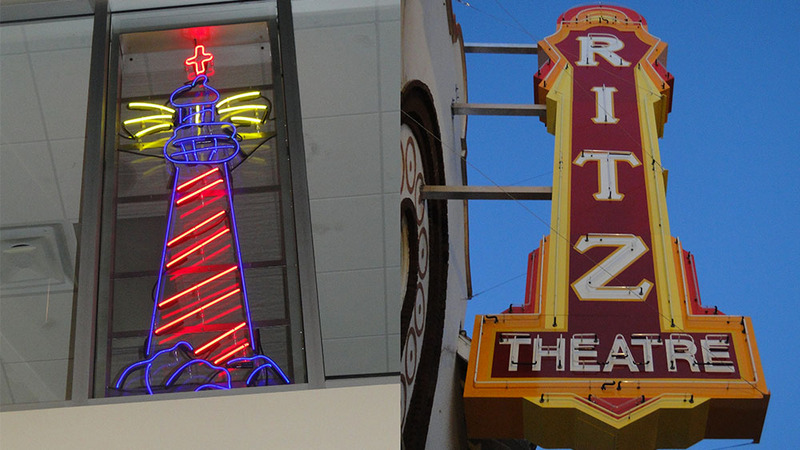 Neon signs use very little electricity and can last for years if maintained and cleaned properly. Standing out among your neighbors and competitors is essential to the success of your business. As more and more small, local companies pop up around the country, proper signage will help attract more customers and increase your bottom line. A neon light sign is perfect for your business. Also check our other sign products.